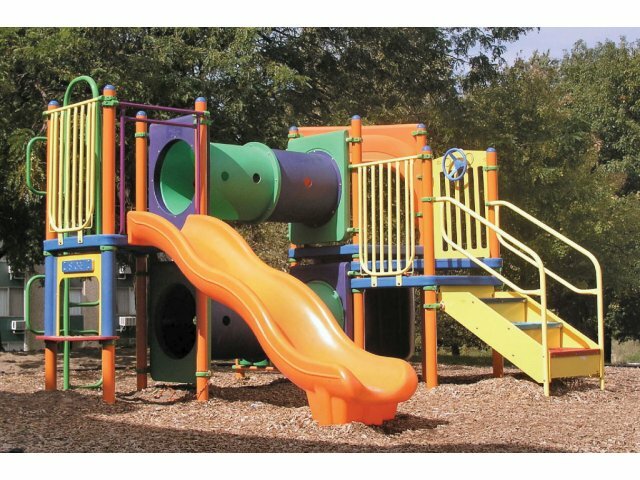 Your students can have a blast and build critical motor skills on this enticing playground set from Kidstuff Playsystems. Nothing beats climbing around and exploring new challenges at recess.This playground equipment is set up with multiple levels and lots of activities, so many children can enjoy it together. It includes two crawl-through tubes, steps, ladders, and a slide. When you invest in a playground set, you want to be sure it is designed for the heavy daily use young children are apt to subject it to. 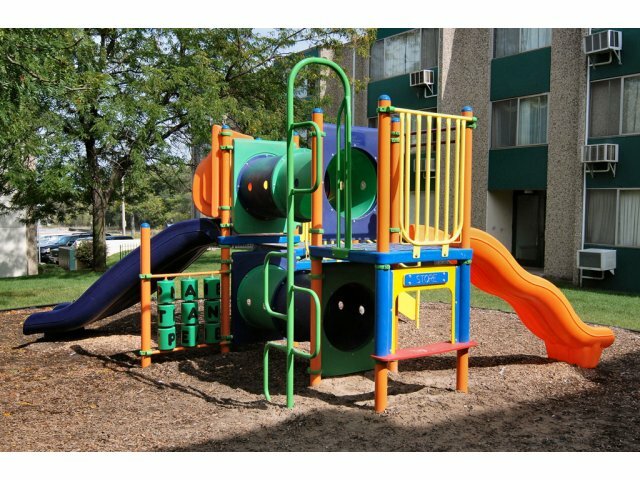 With a rotation-molded platform that won’t rust or pull apart, you can be sure that children will be climbing, sliding and crawling around on this playground for many years to come. 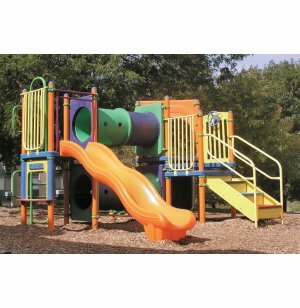 Fun Variety: Includes Double Crawl Tubes, two slides, a Snake Climber, Concentration Panel, Store Front Panel and more!